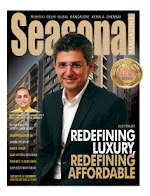 Seasonal Magazine: Anna Hazare Changes Political Stance, Will He Launch a Party? Anna Hazare Changes Political Stance, Will He Launch a Party? Anna Hazare led India Against Corruption (IAS) movement has today announced that it will not specifically campaign against the Congress Party in the upcoming state polls, which is a marked departure from its earlier stance that Congress is the principal, if not the only enemy, standing in its way to get its version of Jan Lokpal bill passed. The Core Committee of the movement had yesterday met in Ghaziabad to chalk out a new strategy, and this decision was apparently arrived at this meeting. The anti-corruption movement’s change of stance is said to be due to disillusionment with the stands taken by non-Congress parties in Parliament recently on the issue. But the movement still holds the Congress Party as primarily responsible for scuttling Jan Lokpal Bill. The new strategy will be to tour all the poll bound states to spread awareness about the Lokpal bill, and to educate the masses on what was the specific roles played by Congress as well as the other parties in effectively blocking the provisions of the Jan Lokpal bill. 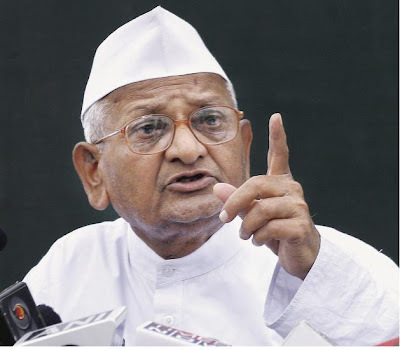 The latest move has, however, brought back speculations whether Anna Hazare will eventually launch a party for their own cause of reforming the nation’s democratic processes. In India, political parties launched during corruption scandals have exhibited better traction, and in a more rapid way. The rapid success of VP Singh led Janata Dal, a couple of decades back, demonstrated the importance of right timing in India. Fruits are best eaten on a specific day, if not a specific hour. One year back, if Anna had launched a party, the taste would have been bitter. But if Anna had launched a political outfit just some weeks back, before the Government tabled its version of the Lokpal Bill, well, it would have been a different Lokpal Bill altogether. All would have eaten the fruit in perfect taste. But fruits past their prime day, quickly turn rotten. Maybe for the movement kick-started by the veteran Gandhian, there will be more leeway. But definitely not till they have exhausted all other options, like waiting for the UP poll results to roll in. For honest citizens of this country, it was heart-breaking to see the movement crumble towards the end, rather than achieve a fitting finale. The whole might of the Parliament was too much for the anti-corruption activist. The Government succeeded in exposing the attitude of all political parties including the Congress, BJP, Communists, and the regional parties, towards a strong Lokpal. The 187 amendments brought forth by various parties were more than proof. But important for Anna Hazare is to realize the distinction between Parliament and this Parliament. India’s supreme law-making body is not static, but changes every two to five years, partially to fully. Of course, it is unrealistic to expect that if it is business-as-usual, the Parliament will have a sharply different outlook towards Lokpal. But then, why Team Anna is not open to the idea of penetrating the Parliament itself? It is one thing to have Sushma Swaraj and Brinda Karat share the dais with Anna Hazare. And totally another thing to see these firebrands in action inside Parliament, acting against Anna’s wishes, even if ostensibly it is to thwart Congress’ idea of a Lokpal. In what is glaringly evident now, the Anna movement badly needs a political party of its own. It can’t expect to fight the Congress using ammunition like BJP or CPM. They are ammunitions with priorities of their own. A battle may be lost, but not the war. Sentiments against corruption is so strong in the country that a reasonable political initiative by Anna would be welcomed massively by the masses. People want power for their leader. Anna Hazare can easily create a political party if he makes it a point to select high-achievers from different walks of life and different regions, to head central roles as well as regional operations. Anna should invite high achievers, rather than sift through numerous useless applications already lying waste in the IAC office. Imagine invitations going out to leaders like Abdul Kalam, E Sreedharan, Rajendra Singh, TN Seshan, Verghese Kurien, Medha Patkar, MS Swaminathan, and so many other such achievers. Even if they couldn’t participate, they would have helped in formulating a sound, workable vision for the Lokpal movement. But for that to happen, Anna should not confine himself to just the Lokpal. However noble this cause might be, the masses are looking for solutions to all their problems, not just corruption. The poor wants food, the middleclass wants wealth, the young want affordable education, the sick wants affordable care, the youth wants opportunities. A stringent non-participation in all these issues that matter to the masses, was the Achilles’ heel of Anna’s movement. The dubious track-records of core team-members like Shanti Bhushan and Kiran Bedi didn’t help either. If the Anna movement has to be revived, it has to be a political revival, and there is no doubt it will be for the good. India Against Corruption is an ad-hoc coalition of people with divergent views on practically everything except that corruption needs to be tackled urgently by passing the Jan Lokpal bill. On most other issues of importance, be it Reservations or anything relating to Economic Policy (Socialist vs Capitalist, etc.) or anything else, I suspect that we are split down the middle. You cannot govern on a single point agenda. If we follow the previous two diverse anti-corruption movements in our country (JP Movement & Janata Party) to form a political party and we go on to win elections, this divergence of views on everything other than corruption will fracture us in a couple of years - just as occurred with the previous movements. Congress can return to power with a thumping majority in mid-term polls, the Jan Lokpal Act can be "further improved" (i.e. rendered ineffective) by Amendments, pending prosecutions can be quickly scuttled, or diluted and lengthened indefinitely to ineffectiveness, and everything can return back to business as usual. Thank you, but no. Effective long term change is more likely, even if smaller in effect if we stay a non-political pressure group. There is no doubt, a new political party if founded by Anna + Team (IAS) would be a total failure...not because it will be a good thing, but in Indian electoral politics, there is no room for good (clean) people. Indian political circus is for the criminals and anti-social elements who have tons of money to buy votes! The best thing for good people who wants to enter politics is to infiltrate into the existing political parties and indulge in 'spying' with the intention to cleanse (if not, expose) them before the public! Only iron can cut iron.